There’s been a recent trend in college football in which star players have skipped bowl games to prepare for the NFL draft. 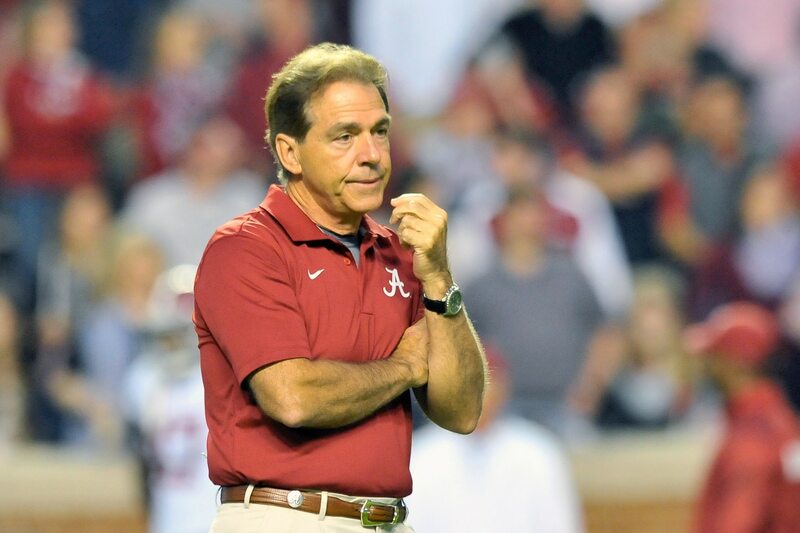 Now that the NCAA is almost certain to move national signing day to December, rather than after the season has concluded, Nick Saban thinks high school players could start following suit if things continue down this road. Since the Collegiate Commissioners Association approved the early signing period, the rules have changed as far as when high school players can visit prospective schools. Now, they can take visits well before their senior seasons, from April through June. So, while it seems like what Saban is projecting here is a bit absurd, it really is not. Top players are oftentimes not going to school to land a free education. For many, football is everything, and college is just a stepping stone to their NFL dreams. So, if they already have their college picked out, it isn’t a huge stretch to see some players deciding that the risk of injury in their senior season at high school is just too great.